An album that is full of rich Metal tunes, and most important of all, just feels good. Austrian Rock and Metal bands are something few and far between in my experience. Germany is clearly huge in the scene, even Switzerland has its top bands well known around the world, but Austria, I'm struggling to come up with a name. 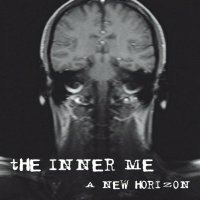 So 'A New Horizon' sort of grabbed my interest before I'd heard a note. 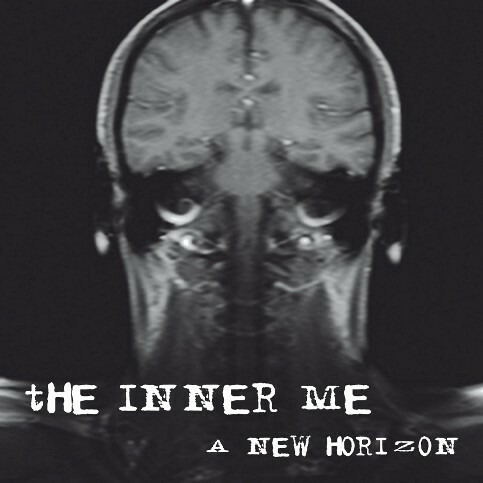 But with little expectation I'm delighted to report that The Inner Me have come up with a little gem of an album. Founded by Reinhard Müller, guitarist, main song-writer and producer, he recruited vocalist David Stawa and bassist Daniel Tallamassi to complete the band that has genuinely captured the passion and power of Müller, who in his own words – "didn't give a damn about commercial mind games". 'A New Horizon' from the opening title track is packed with Classic Metal riffs with an enthusiasm reminiscent of the early days of the NWOBHM. 'Eraser' follows, intensely powering through the riffs, but with plenty of guitar harmony through the chorus keeping it all under control. Müller's guitar work is excellent throughout, particularly with some stunning lead work. A self-confessed Michael Schenker fan, his style is certainly not just copying Schenker, but the influence in the fluidity and feel, rather than speed and shredding for its own sake, is clear for all to hear. Yet despite this, Stawa comes pretty close to stealing the show from his boss. Showing a range stretching from the near guttural growls of Nu-Metal to more melodic Heavy Rock tones, he hits the note, literally, every time. It's a raw and rough voice, never exactly subtle, but packed with a power that delivers. Totally! 'Breakdown' is a highlight, a brooding, mid-paced epic, whilst 'The Chase' is another classic, the sort of pacey Power Metal romp that Accept or Helloween fans would delight in. The lyrics from Stawa tell the life story, according to the press release, of author Robert Mankovic, a name that means nothing to me, or Google for that matter, but that counts not one jot as each track stands proud in its own right. Musically there's no recurring theme, so don't be put off by any "concept album" tag. With no drummer on board, Müller is also responsible for the drum programming. Whilst overall a great job, I probably wouldn't have realised but for the album information, but once you're aware, there are just a couple of sections that sound a touch metronomic, a bit more cymbal programming in certain areas perhaps wouldn't have gone amiss. But overall, these are minor quibbles on an album that is full of rich Metal tunes, and most important of all, just feels good.